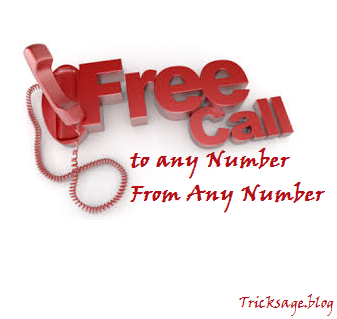 Yes its true now you can call any number (international too) from any number by using a site or via App for Free ,Well there are lots of apps that provide free calling but all had one problem that both the end user to have that particular app and because of this many of us dont use free calling so to remove this problem i m giving you all a mind blowing App and site ,Using this app you can call Any Number from Any Number . Click Here to Call any no. from any no. Click Here to Download Free Calling app. (i) No need that users must have same app installed . (ii) Working for foreign countries also like USA , Canada , China and Others . (iii) Can use on web browser also without installing app . (iv) Upto 10 mins calling on each call in India and 30 mins in foreign countries . (v) Free SMS from app to app . 1. Web interface : Call from web browser that lasts upto 10 minutes . 2. App to App calling : like other apps when two users have installed this app then can call each other unlimited freely . This trick is working fine in Gujarat And MH . Try and comment . Earlier i posted this type of trick so to Those Who Already Know This Trick Can Ignore This Post ..